A company’s marketing department structure plays a key role in its success. If the marketing team is organized, setting goals and executing marketing plans become easier. 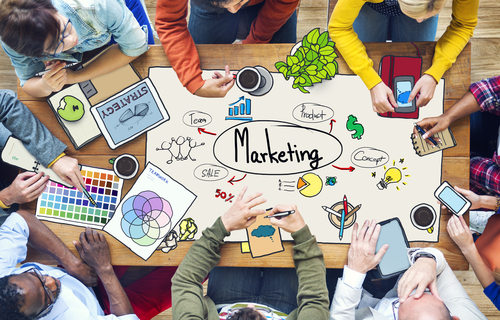 Organize your marketing team focusing on business priorities while maintaining flexibility. Since all businesses are not equal, the structuring depends on your industry, offerings and customers. However, following some basic principles can simplify this task. This post discusses some essential guidelines to help businesses establish an efficient marketing department structure for email branding, targeting audiences and more. The entire marketing department is generally led by either a chief marketing officer (CMO) or a vice president of marketing. These leaders are in charge of aligning marketing activities with business goals. Additionally, they create marketing strategies and divide marketing responsibilities. Based on their manager training, they are responsible for setting the direction of the entire marketing organizational structure. Of course, appointing a capable CMO helps in organizing the rest of the department. It is the duty of the marketing manager to carry out the marketing strategies the CMO or vice president creates. In smaller organizations, the marketing departments are headed by marketing managers. Their designation includes tasks like selecting marketing medium, developing marketing segmentation messages and overseeing marketing progress. Obviously, good management is necessary for functional success of your marketing department. Appointing qualified marketing researchers ensures that there is sufficient data for developing and implementing strategies. These professionals will define target audience, find out customer needs and changes in trends. Plus, they discover channel insights and optimizing techniques to help in strategy implementations. All in all, the market researchers provide analytic data necessary for well informed decision making. The content creators produce quality marketing content based on research data. According to business requirements, they create webinars, infographic, blog posts and social media posts, engaging the target audience. In addition, they generate newsletters to inform buyers about new products, services or privileges. Definitely, a strong content team in place strengthens marketing campaigns, making it possible to attain success. The main tasks of lead managers is generating leads, driving them to buying pages and turning them over to sales or telesales people. They will stimulate desire for business offerings leading to customer inquiries. Also, lead qualifying and scoring falls under their key responsibilities. Surely, efficient lead managers can direct marketing activities and achieve marketing goals. A full fledged marketing department should have a marketing optimization team. Usually, this team includes SEO experts and professionals who can track marketing progress. The SEO expert’s job is to increase number of organic social media likes, shares and website visits. Moreover, they strive to gain top ranking in search engines for relevant queries. Certainly, this team assists in highlighting your business and improving marketing tactics. Another imperative part of a marketing department, the creative team consists of graphic and website designers. They are responsible for creating business websites and visual marketing content. What’s more, they help in the creation of business brochures, banners, add layouts and other marketing materials. Undoubtedly, in the age of visual marketing hiring talented designers is a necessity. If you own a small to medium-sized business, chances are that you will not have the necessary funds to have both a marketing department and a public relations department. That is where a marketing media liaison can fill in. Marketing departments of smaller companies, whether they are a spa business or a food truck company, should have a department employee dedicated to public relations tasks, such as answering media inquiries or providing publicity statements. A media liaison is an excellent addition to the marketing departments of smaller companies. With the rise of digital marketing, the marketing department structure has experienced many changes. The traditional marketing models now have to to include digital specialists and teams. In order to keep up with the digital trends on social media, search and content campaigns, digital specialists can analyze all the new data. By centralizing all the different marketing and devops business value data points under one department, the specialists can offer new insights about the company’s target customer to the marketing manager or officer. Building marketing department structure requires functional organization of various marketing professionals. Start by appointing experienced chief marketing office who will lead the department. Thereafter, promote an existing employee or hire new one as marketing manager. Also, build content, optimization and creative teams. Finally, designate a lead manager for continuous lead generation, getting the most out of marketing dollars. Most importantly, consider your company’s budget and needs to establish an effective marketing department structure.